I love taco night. 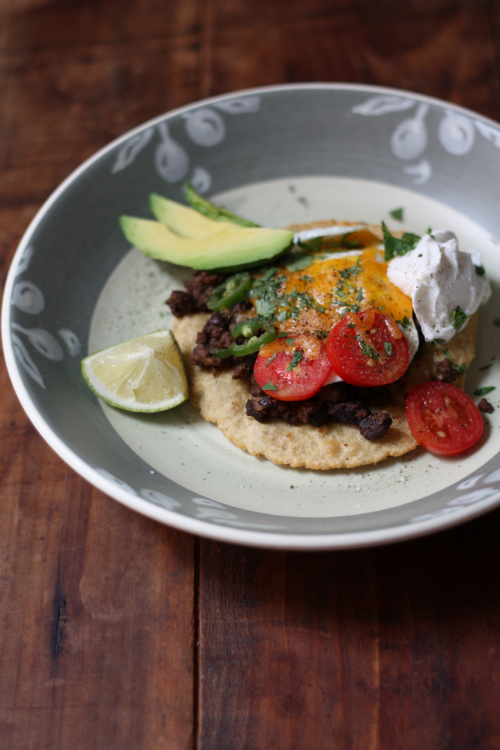 Taco or fajita night consists of organic grass-fed beef, black beans, cheese, sour cream, avocado — you get the idea. 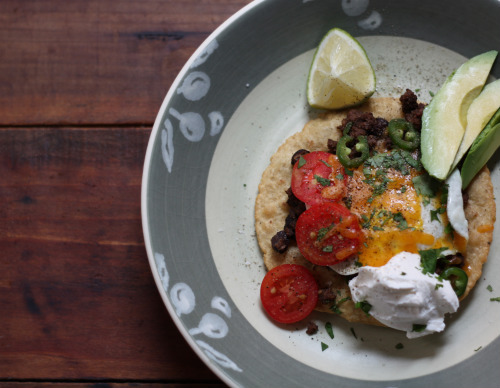 Whatever your taco night consists of, you basically have the ingredients for wait for it... a Huevos Rancheros Breakfast! All you need to do is fry the tortilla and fry an egg. 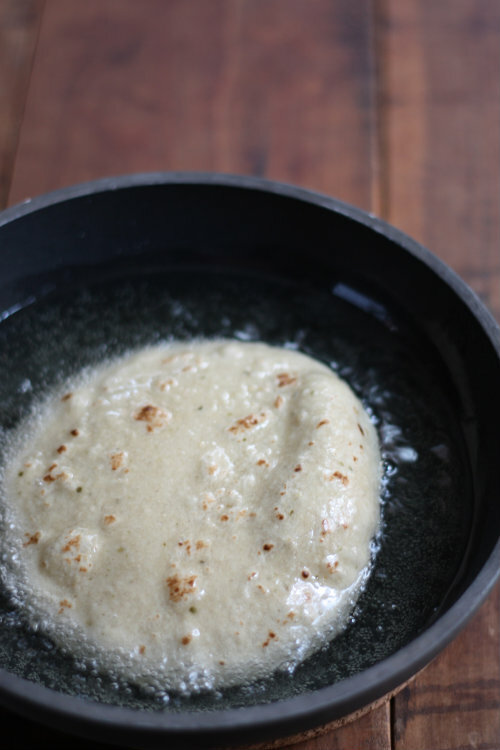 Fry the tortillas in vegetable oil, in a pan enough to coat, causing them to puff and become crisp. Set tortillas aside and heat your leftover fajita/taco ingredients in a pan. 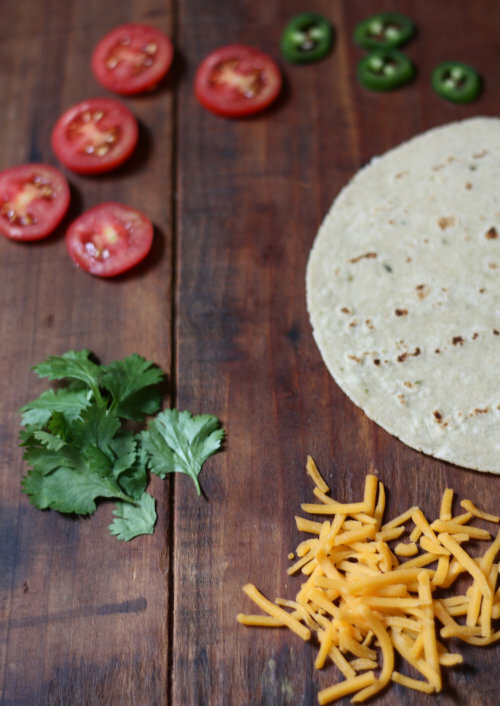 Assemble your tortillas, adding a fried egg, then cover with cheese and broil in the oven until cheese melts. Top with sour cream, avocado, fresh tomatoes, jalapeño and cilantro! Again, that is why I love taco night — huevos rancheros the next morning! I LOVE huevos rancheros. Mmmm this is a fantastic idea! Me too! The crispy tortilla with a runny egg! Thank you Emily for the kind words!